For internet entrepreneur Njeri Rionge, Africa represents the next economic frontier. She say strong indigenous, African-owned companies are needed to take advantage of the boom times ahead. Ms Rionge is as famous in Kenya for her success in starting up several companies at the same time as she is for Wananchi.com, a cable, broadband and internet-based telephone company. She started her dot com dream and first big venture, Wananchi.com, with the hope of bringing internet connectivity to the masses. Today the firm has grown to become the largest internet service provider in East Africa and is worth $173 million (£107 million) a huge sum for a firm with an initial start-up of $500,000 (£308,000). Despite her determination to succeed, she has not always known what she wanted to do. “I touched many things before I touched the thing that I turned to gold,” she told the BBC’s African Dream series. That opportunity came in the form of Wananchi.com in 1999, at a time when very few people had internet access. 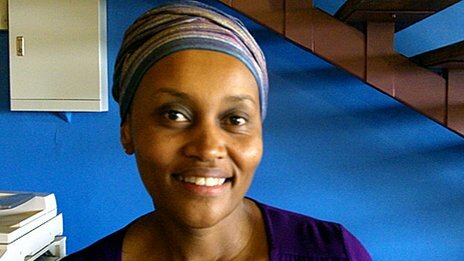 She envisioned the easy access of information via the internet as a way of bridging the gap between East Africa’s educated elite and the rest of the population. Despite the necessity of the internet in modern communication and education, the beginning of Wananchi.com was not without its hurdles and frustrations. Speaking to the BBC just after the company’s launch in 2000, Ms Njeri said she was frustrated with the failure of Kenya’s politicians to embrace the internet age. “The majority of decision-makers are not aware of the benefits of the internet and most of them are actually afraid of touching and using a computer,” she said. But today she believes money and the shortage of IT-skilled staff in Kenya are an even greater hurdle. “The biggest challenge is human resources – how you actually maintain that success story on the human resource side of any business and also the funding and making sure that you always have enough capital to grow the business ,” she told BBC Africa’s Ruth Nesoba. Twelve years on and she now includes Ignite, a management consultancy and Insight, a new-technology firm, among her many business interests. Through them she encourages businesses to focus on online solutions to deal with their challenges. “We are saying actually we need to have paperless offices,” she said. Ms Rionge’s ambitions have never been to stick with one idea or project and she usually starts several projects at the same time. She puts together the funds and plans needed to start and then passes the project on to be run by a CEO or managing director. “I build organisations and then hand them over to someone else – that is my type of entrepreneurship,” she said. Attachment to an idea she may have nurtured from the very beginning never occurs. She also says the more vocational certificate courses she studied helped give her a versatile and common-sense approach to setting up a new project. Despite this burgeoning umbrella of companies, it’s her Business Lounge, a plush and modern looking space, created for entrepreneurs to brain-storm and network, which has proved a real labour of love. “We encourage you to bring your ideas to the Business Lounge and [to] incubate them here for a period of time and within that incubation period we can actually support you,” she said. Ms Rionge now offers motivational talks and life coaching in the hope that her success will rub off and inspire other aspiring entrepreneurs. She says resilience is the most important advice she can pass onto others who might want to follow her path.